As there will be parts of season when testing and racing has gone quiet I thought I would start an ongoing post to talk about everything happening behind the scenes of F1. After coming through the youth programme at Red Bull, Ricciardo has now entered the final year of his contract. On the other side of the garage Max Verstappen signed a new 3 year deal at the end of last season but being 8 years Ricciardo’s junior gives him a bit more flexibility and the youngster can afford to take more of a gamble with the next three years of his career. 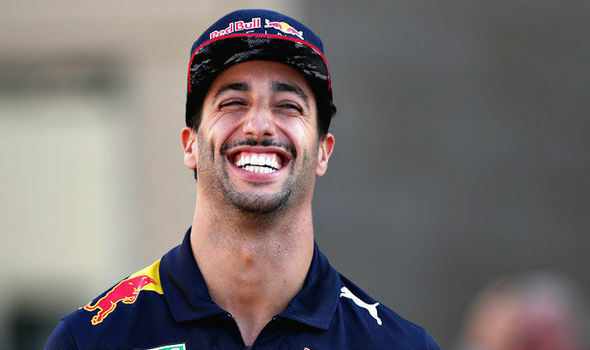 Ricciardo is now 28 so his next contract is going to be his best chance of winning a world title, there’s no doubt he has the talent to be world champion, he just needs the car to compete. Contract discussions with Red Bull are due to start in April but how quickly they conclude depends on how competitive the RB14 is in the first few races. With Hamilton, Bottas and Raikkonen’s contracts currently expiring at the end of the 2018 season there could be a space up for grabs at one of the big teams. With Red Bull’s engine deal with Renault due to expire at the end of the season there is also uncertainty around who will supply them from 2019. Despite the frosty relationship between them over recent years, Renault have said they are open to continuing the partnership with Red Bull into 2019 and beyond. However, they have issued a deadline of May 2018 for Red Bull to decide whether they want to continue using their engines. With no new engine suppliers willing to enter the sport until the new engine regulations in 2021 it looks like a straight shoot out between Renault and Honda. I don’t believe Mercedes and Ferrari would want to supply a team that could potentially beat them with their own engine. All eyes will be on Toro Rosso to see just how far the Honda engine has come over the winter, if they can start to close the power gap to Renault then surely its worth a gamble. Lets see what the speed traps say in Melbourne. We are now halfway through testing and Force India are still known as Force India. It is still very likely the team will get to Melbourne with a new name after Team Owner Vijay Mallya wanted to add a more international flavour to the brand to attract sponsors. The team kit in Barcelona currently does not display a team name and they are still to decide what the new brand will be. Once the decision has been made there is a formal approval process to go through. The team COO Otmar Szafnauer has said the possibility of everything being completed by the first race of the season is greater than 50/50. The Chairman of Crystal Palace, Steven Parish, recently spoke about why F1 fans have been switching off in recent years and used the Premier League as a model for success. Although the F1 spectacle has been becoming more exciting in recent years there is still a big gap between the top and bottom of the grid. The reason the Premier League has become so popular around the globe is because of the competitiveness of the league. Yes you still have your Manchester United’s but even they can get beat by the small town of Huddersfield. The distribution of wealth in the Premier League is a lot more even than in F1 which gives the smaller teams a fighting chance. I am a firm believer that the structure of winnings at the end of the F1 season needs to be updated. Long have Ferrari and Mercedes had too much power, yes they spend a lot of money on engine development and they bring a lot of spectators to the races but if F1 wants to build on the current fan base then the competition needs to improve all the way down the grid.